The Zac Brown Band will headline the entertainment at the ninth annual ForEverglades Benefit at the Breakers in Palm Beach on February 15, 2014. 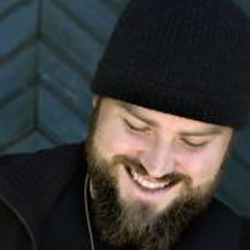 The Grammy-award winning band, including Zac Brown, Jimmy De Martini, John Driskell Hopkins, Coy Bowles, Chris Fryar, Clay Cook and Daniel de los Reyes, has 10 No. 1 hit radio singles and three platinum-selling records. Its latest album debuted No. 1 on the Billboard 200. Other top artists who have performed at the ForEverglades benefit include Jimmy Buffett, Kenny Chesney, Dave Matthews, Sting, John Mellencamp, ZZ Top, Gloria Estefan and Diana Ross. The ForEverglades Benefit raises funds to support the science, policy, communications and education programs of the Everglades Foundation. Photo by C. Taylor Crothers.